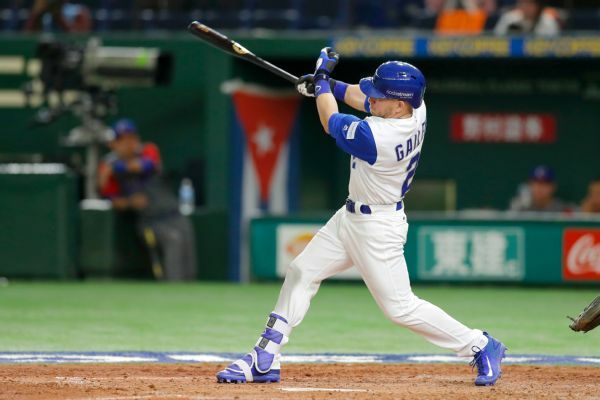 Israel took advantage of timely hits and solid pitching on Sunday to improve to 4-0 in the World Baseball Classic with a 4-1 win over Cuba. Yakult Swallows slugger Wladimir Balentien apologized to his fans Wednesday, several days after pleading not guilty to domestic violence charges in Florida. Japan homer king Balentien arrested in Fla.
A former major league baseball player who broke Japan's single-season home run record last year has been arrested in Florida on domestic violence charges, police said Monday. 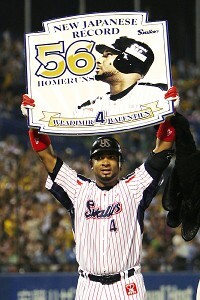 Former major leaguer Wladimir Balentien hit his 56th and 57th home runs on Sunday, breaking the Japanese single-season record set by legendary slugger Sadaharu Oh 49 years ago. 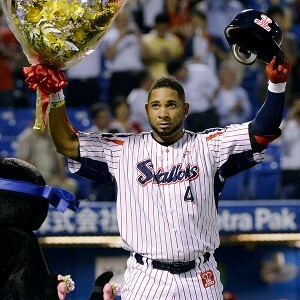 Former major leaguer Wladimir Balentien hit his 55th home run of the season Wednesday to equal Japanese baseball's season record.